SUB Series Subwoofers by Andrew Jones. The Debut 2.0 Series meets its match. 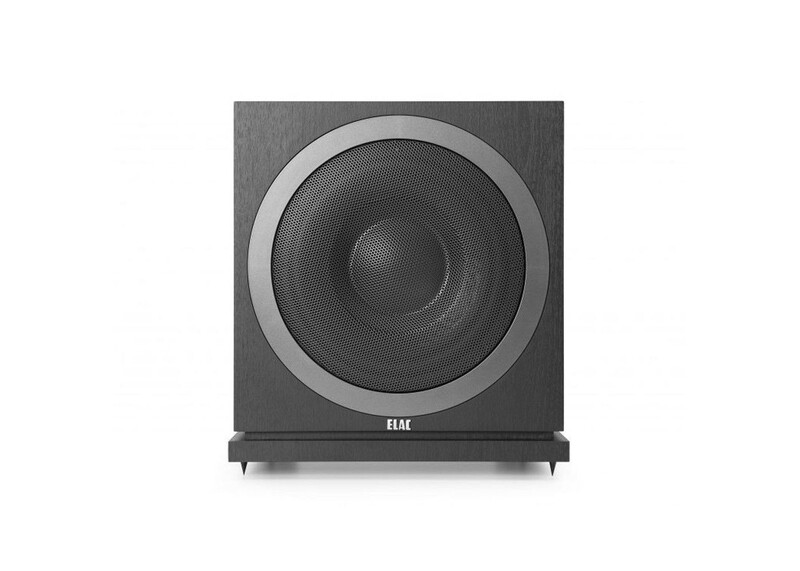 ELAC’s new SUB3010 is designed as the perfect complement to the all-new Debut 2.0 loudspeakers, adding a powerful bass foundation to music and soundtracks that turns your system into a sensation you can feel as well as hear. Like Debut, the SUB3010 has been engineered and built to deliver huge performance at an affordable price. The compact design allows placement in almost any part of your room, and sophisticated app-controlled EQ assures seamless integration into your system..
A powerful app to control powerful bass. Do you like bass? Advanced Bluetooth® control and Auto EQ let you operate the SUB3010 from your smartphone. A 10-inch bass driver, powered by a 400-Watt BASH amplifier and enhanced by a 10-inch passive radiator, creates awesome low frequencies and a stunning sense of realism. Doing away with traditional analog controls, the SUB3010 incorporates our advanced digital control system. Simply download the ELAC SubEQ app for your smartphone* and you have complete control of multiple subwoofers at the same time. Utilizing our new SubEQ app and your smartphone’s microphone, the subwoofer will optimize room EQ automatically, utilizing eight parametric curves. Full manual EQ is available as well. A custom 10-inch long-throw driver provides the quality and quantity of bass that is fundamental to accurately reproducing today’s demanding movie soundtracks and music. A 10-inch passive radiator improves transient response and increases the efficiency of the system. All ELAC subwoofers utilize BASH tracking amplifiers. Unlike conventional amplifiers, BASH amplifiers track the input signal and adjust the available supply voltage to a traditional Class AB amplifier. This makes the amplifier incredibly efficient but also provides the on-demand power needed for dynamic movies and music. A horizontal center brace strengthens and stiffens the cabinet, helping minimize unwanted vibrations that can discolor music or movie content. Low frequencies are reproduced with precision, without overhang or distortion. The subwoofer will detect when an audio signal is being sent to the amplifier and will power on. Also, to conserve energy, the subwoofer will power off after a long period of inactivity.